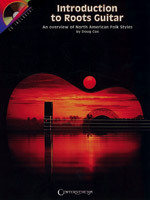 This book/CD pack by Canada's premier guitar and Dobro� player introduces beginning to intermediate players to many of the basics of folk/roots guitar. Topics covered include: basic theory, tuning, reading tablature, right- and left-hand patterns, blues rhythms, Travis picking, frailing patterns, flatpicking, open tunings, slide and many more. CD includes 40 demonstration tracks. 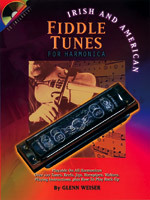 A complete guide to playing fiddle tunes! Covers: tips on hand positions; playing instructions and techniques; rhythmic patterns for the reel, jig, hornpipe and waltz; and more. Features over 100 songs, along with a CD that demonstrates several of the tunes. Ability to read music is not necessary. 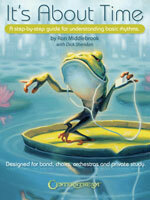 Designed for band, choir, orchestras or private study this book teaches how to read basic rhythms from the printed page. This practical, daily step-by-step guide is suitable for all instruments, and levels of musical abilities. It clearly explains: beats, time signatures and tempo; note shapes and their time values; and ties, rests and dots. Other topics covered include musical tips and terms; sight reading; practice exercises in 2/2, 2/4, 3/4, 4/4, and 6/8 time; sample songs in different keys, meters and tempo. 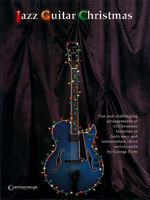 Features fun and challenging arrangements of 13 Christmas favorites. Each song is arranged in both easy and intermediate chord melody style. Songs include: All Through the Night, Angels from the Realm of Glory, Away in a Manger, The Boar's Head Carol, The Coventry Carol, Deck the Hall, Jolly Old St. Nicholas, and more. Jazz horn players are some of the best improvisers ever. Now guitarists can learn their tricks! 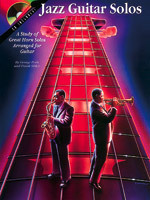 This book features 12 solos (progressing in difficulty) from jazz saxophonists and trumpeters transcribed in easy-to-read guitar tab. The CD features each solo played twice, at slow and regular tempo. Centerstream publishes a variety of music books on instruments, instructional, reference, and biographies. ©2019 Centerstream Publishing, LLC. All rights reserved.